Stunning place, looks so quiet and peaceful. It was, when the tent wasn’t flapping wildly in the wind! You sure visit some amazing places; looks like paintings! 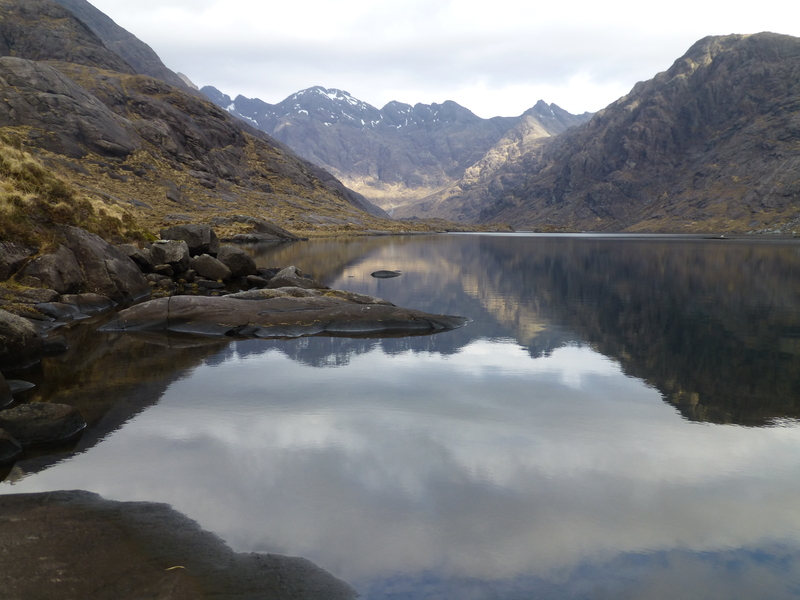 There are some famous, highly romanticised Victorian paintings of Loch Coruisk (with Highland cattle wading in the water) and they don’t come close to the natural grandeur of real thing. We were really lucky to see it on such a great day. Lloyd’s right, these shots remind me so much of New Zealand. Heaven’s but I must get to Scotland! 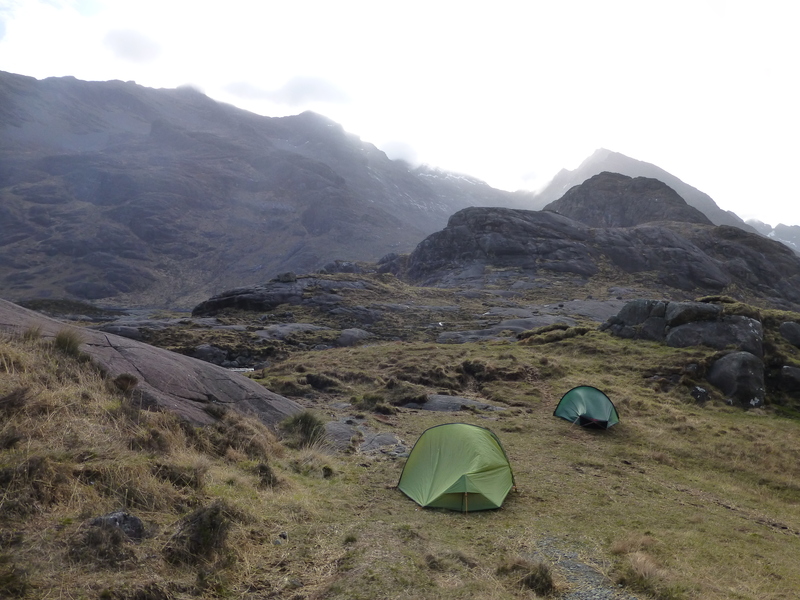 Absolutely beautiful-I can feel that damp chill pushing at the tent walls, smell the frost in the air, and feel the joy of crawling out to blue skies. What bliss. I’m so delighted you were able to make this journey at last. Let me know when you’re coming! Never too old. It will happen. Thanks Lloyd. 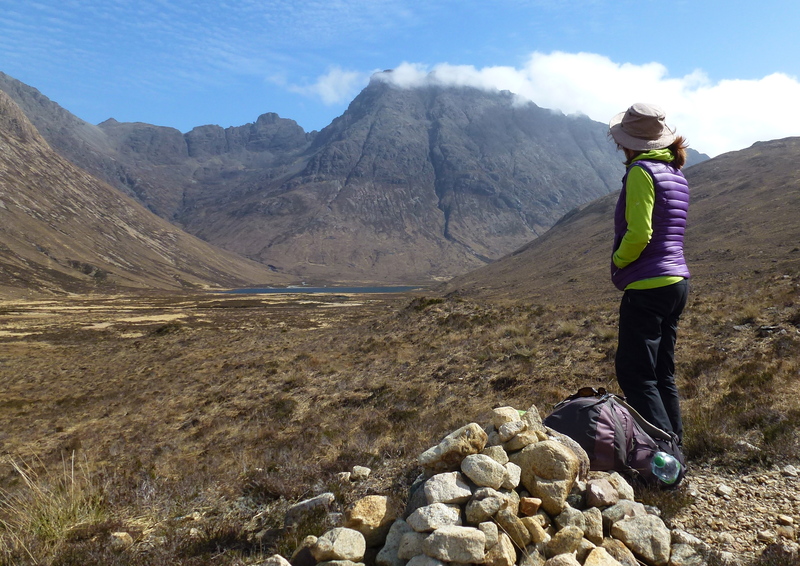 Yes, so much of wild Scotland looks like a slightly scaled down New Zealand. That’s probably why I love it and always feel at home there – in South Island especially. Yet you’d never mistake one for the other; the shapes and contours are subtly different and Scotland is just that wee bit softer. You’d love it Scott; such peace. It must have been an amazing experience. It was a stunning start to the year’s walking adventures. It looks cool, desolate, and beautiful. It was cool through the night, certainly! And yes, it was hard to walk away from such haunting remoteness.